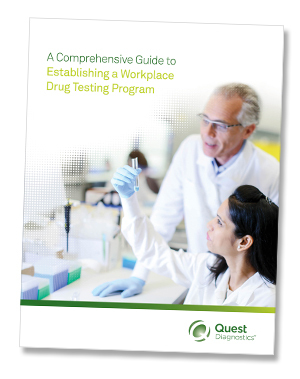 Drug testing programs aim to filter out drug users and deter drug use in the workplace. Our comprehensive guide can help you design an effective program with what is most appropriate for your business, industry, workforce type and location. Some important criteria to consider are: reasons for testing, drug test types such as urine, oral fluid, and hair, drugs to screen for, and drug test collections.